An international soccer referee who has long been implicated in fixing matches has been banned for life for taking bribes. FIFA says its ethics committee judges found Ibrahim Chaibou guilty of taking bribes and also fined him 200,000 Swiss francs ($267,940 Cdn). One of soccer's most infamous match-fixing cases was settled Thursday when a referee notorious for corrupt calls was banned for life. The corrupt games in Ibrahim Chaibou's career were key to revealing how easily international friendlies could be manipulated for betting scams, forced FIFA to change the rules for appointing referees, and helped expose the influence of convicted fixer Wilson Perumal. "Chaibou was probably the most corrupt referee the game of football has seen," former FIFA investigator Chris Eaton told The Associated Press on Thursday. Still, it took more than eight years to confirm his life ban from any involvement in soccer. FIFA ethics committee judges found the referee from Niger guilty of taking bribes to corrupt international friendly games in 2010 and 2011, soccer's world governing body said. Chaibou was fined 200,000 Swiss francs ($267,940 Cdn), though it is unclear what power FIFA has to make the long-retired referee pay. He can appeal to the Court of Arbitration for Sport. The Niger official was paid bribes to influence the outcome of national-team games played in Africa, the Middle East and South America. His favoured tactic was awarding questionable penalty kicks — often for real and imagined handball offences — to help increase the number of goals scored. FIFA did not specify which games its ethics committee took into account when judging Chaibou. However, his most suspect games are well established. In May 2010, a warmup game for World Cup host South Africa in Polokwane ended in a 5-0 win over Guatemala. Chaibou awarded three penalties for handball and South Africa scored two of them. Betting monitoring agencies noted a spike in wagers on at least three goals being scored in the game. In September 2010, Bahrain won 3-0 against a team making itself out to be Togo's national team but which was actually a group of impostor players. Chaibou's job that time was to limit the number of goals scored, according to evidence from Perumal after his arrest. Both games in 2010 were organized by Perumal from Singapore, whose agency could be hired by national soccer federations to organize a game and provide the referee. FIFA leadership was then not alert to the spreading risk of match-fixing. Its official line immediately after the Bahrain-Togo fiasco was not to investigate because neither member federation had complained. 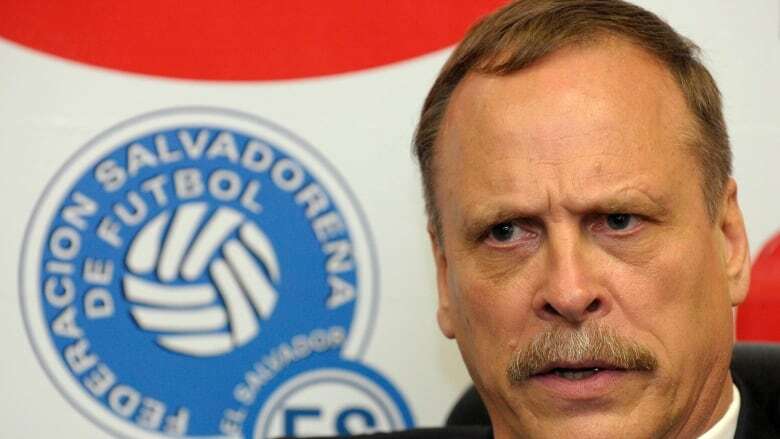 Chaibou was then appointed for national team games in Bolivia and Ecuador, and oversaw another notorious incident when Nigeria hosted Argentina in June 2011. With Nigeria leading 4-0 late on, Chaibou allowed the game to continue beyond the allotted stoppage time and then awarded Argentina a penalty for a non-existent handball against defender Efe Ambrose. A 4-1 result paid out bets of five goals to be scored. "I judged it to be a penalty, so I gave a penalty ... to make everyone happy. That's it," Chaibou told the AP in a telephone interview for an article published in February 2013. Eaton, who opened FIFA's investigation of Chaibou before leaving in 2012, said Perumal described his favoured referee as courageous for awarding suspect penalties late in games. "It wasn't courage, it was pure unadulterated corrupt greed," said Eaton, a former detective and Interpol official. He praised FIFA for pursuing the referee long after Chaibou's mandatory retirement from the international list of approved referees after turning 45 in 2011. "It's a well-deserved shaming of the man who disgraced African football more than any other," Eaton said.